The region around the old border- and trading town of Aswan in Upper Egypt features one of the world's most prominent ancient quarry landscapes. It covers an area of some 150 square kilometres on both banks of the Nile from the Old Aswan Dam in the south to Wadi Kubbaniya in the north. Within this region are the famous Aswan granite quarries, less well-known ornamental silicified sandstone quarries, recently discovered extensive grinding stone quarries, as well as building stone quarries in Nubian sandstone. Associated, but not always directly connected with the ancient quarries are archaeological features such as ancient settlements, various types of ephemeral stone structures, cemeteries, roads and desert tracks, smithies, stone alignments and a vast body of rock-art and inscriptions. Judging from archaeological evidence, the history of the grinding stone quarries stretches almost 20.000 years back in time to the Late Palaeolithic, whereas the majority of the ornamental and building stone quarries were exploited in the Pharaonic Period and later, especially from the New Kingdom until the Graeco-Roman/Meroitic Period (c. 1.550 BC to AD 500). This outstanding quarry landscape was extremely well preserved until the 1960s and the building of the Aswan High Dam. In the wake of the construction of the High Dam and influenced by large population growth, the quarry landscape has in the last 40 years been increasingly utilised for dwellings and industrial activities, including large-scale modern quarrying. Also small-scale, but extensive artisan quarrying is taking place. Recently, the construction of "New Aswan City" also commenced within the ancient quarry landscape. As a consequence of this development, large parts of the ancient quarry landscape have been or will be destroyed. This raises fundamental questions as to recording and documentation of the quarries and associated archaeology, and the possibilities for preservation. 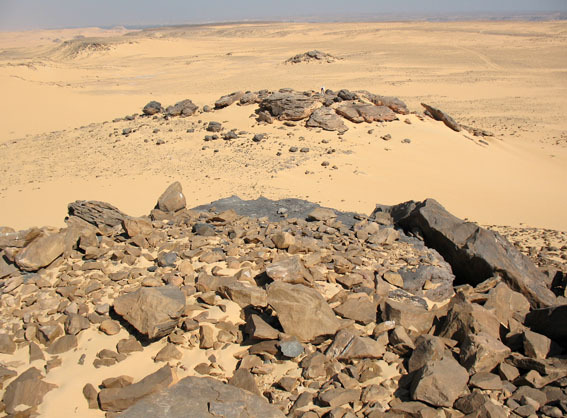 The major quarry sites, including the "Unfinished Obelisk" in Aswan city and the Gebel Gulab and Gebel Tingar sites on the West Bank have been archaeologically investigated. For other, less prominent sites only brief surveys have been conducted until now. Thus, the most important objective within QuarryScapes is to cover as much as possible of the quarry landscape as a whole. 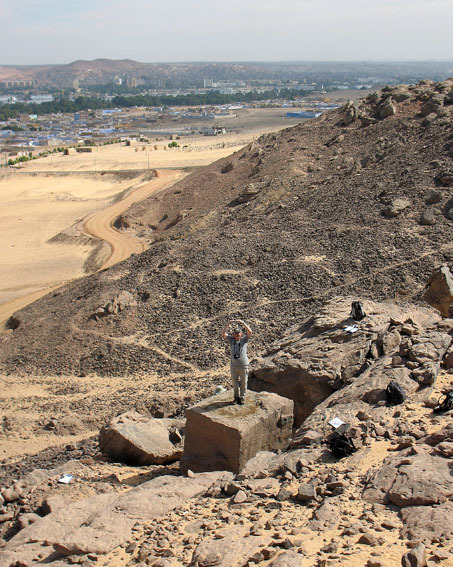 Work is at the moment well underway in the southern part of the granite quarries, where Adel Kelany and his team from the Supreme Council of Antiquities are recording quarries and inscriptions. They are also cooperating with the modern quarrying companies operating in the area in order to prevent further destruction of ancient sites and find alternative extraction areas. 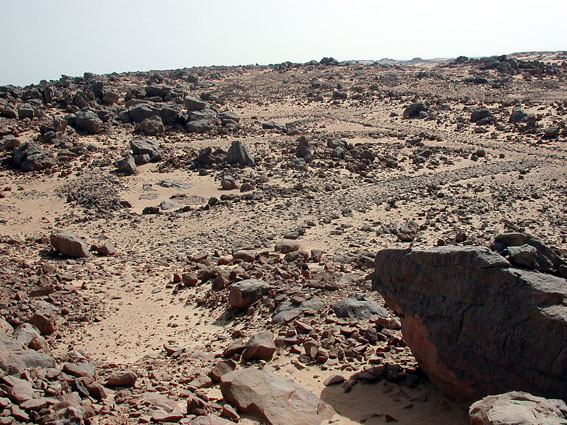 The New Kingdom and Graeco-Roman quarries on the West Bank, including one of the most extensive paved road networks remaining from Ancient Egypt, has been under investigation as a forerunner to QuarryScapes. Further studies will be done in these quarries, especially related to transportation methods. Work will also concentrate on the extensive grinding stone quarries in order to determine chronologies and procurement methods. Associated with these studies are recording of rock-art, inscriptions and other archaeological features. 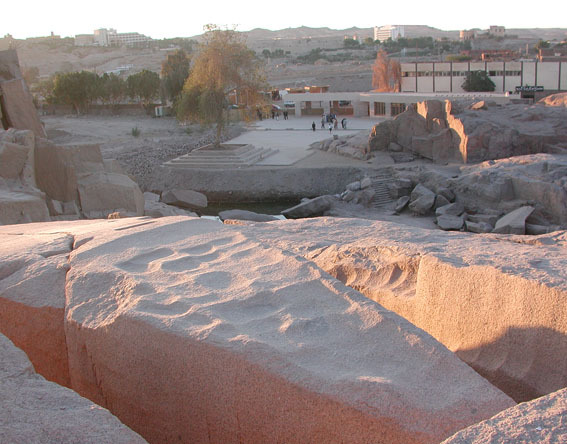 Aswan is surrounded by ancient quarries. (Click on map to maximize) © QuarryScapes. The famous "Unfinished Obelisk" quarry has recently been refurbished to a modern outdoor museum. Photo by Per Storemyr. 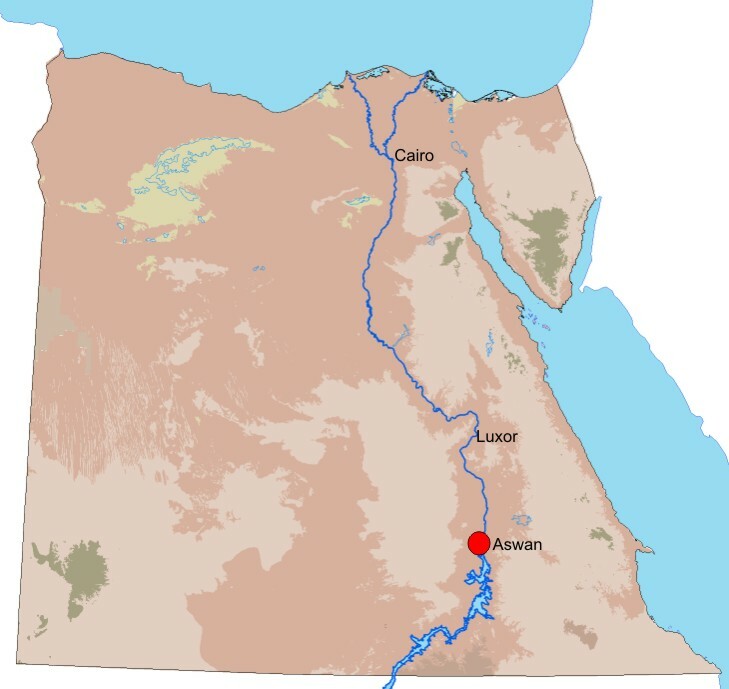 The West Bank of Aswan features an extensive ancient road network, totalling more than 20 km in length. Photo by Per Storemyr. A typical grinding stone workshop on top of a hill in the desert at the Aswan West Bank. Photo by Per Storemyr. A recently discovered New Kingdom obelisk base in the "Khnum Quarry" at the Aswan West Bank. QuarryScapes coordinator Tom Heldal at the top! Photo by Per Storemyr.